I’m in the first few days of this year-long challenge. With four down and 361 more to go, the adage, “One day at a time” has never been truer. My plan is to provide periodic updates highlighting the photos taken. The first image came to me a few weeks ago as I was looking at Deborah’s jewelry collection. 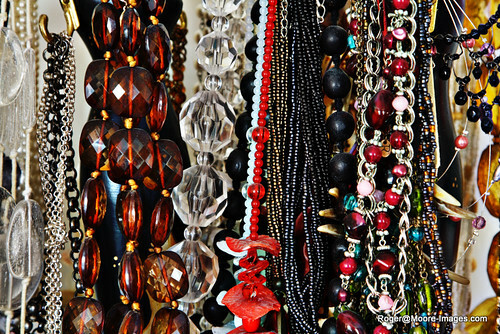 She has an array of costume jewelry of many colors, shapes, and styles. They all hang from multiple wooden sculptures and meshed together it is quite a visual display. The second group of images represents a spontaneous concept. I looked outside one morning and noticed the frost covered everything. It is always dreadful to look outside and see the car covered with frost. It indicates we have to spend 10+ minutes letting the car run with the defroster blasting. The alternative is to feverishly scrape a small hole to see out the driver’s side and make two clearings for the mirrors and hope the rest quickly melts while driving. The latter is never a good idea because it’s not safe and the car is freezing! There is another way of viewing frost. It provides delicate dressing to the leaves and shrubbery that dare to withstand the bitter winter temperatures. 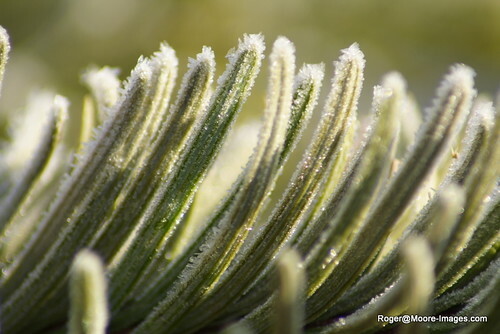 Prior to melting away in the early morning sun, the small crystals adorning the flora display beautiful patterns. My neighbor had their small Christmas tree in the recycle bin. However, the small pine needles were covered with these frozen decorations. 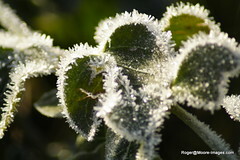 I captured other frost-covered greenery as well. Flowers with dew drops on them are a beautiful site to behold. I enjoy photographing flowers that appear to have the morning dew on them. I’m not one for getting up in the morning to photograph it. So, I fake-the-funk by spraying water on them. 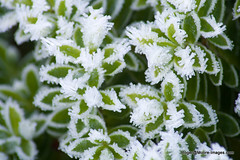 However, frost represents the winter equivalent and it makes everyday shrubbery very photogenic. Jesus says in Matt 6:28-29 that the lilies of the field were dressed more beautiful than Solomon, the richest man in the world. 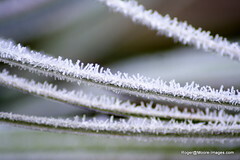 Although I didn’t photograph any lilies, the frost-covered plants I captured, were impressively dressed. I agree with Elderjake, you take some amazing photos. I thought the colorful picture of the jewelry was taken at a store or flee market. You are most descriptive explaining your photos.